Features: Diameter is adjustable by hand and can be reduced or expanded by approximately 25 of original I.D. 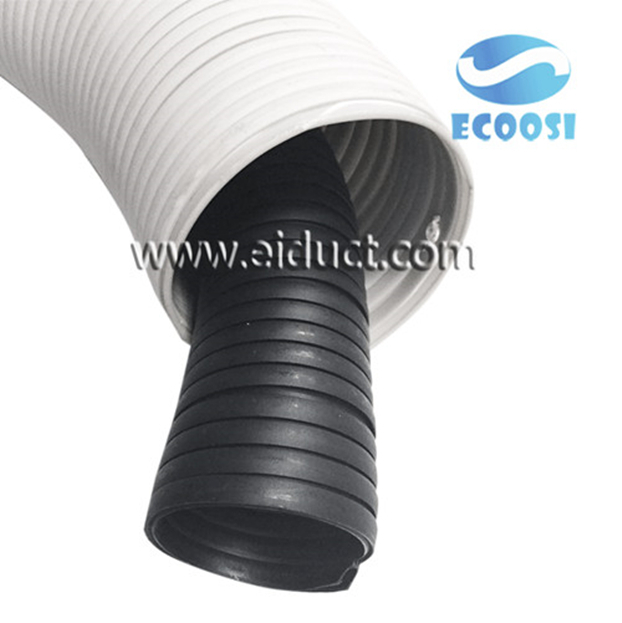 Ecoosi flexible ducting hose - Interlock Ducting Hose semi-rigid duct is a 100% rigid self-supporting PVC duct with a ribbon-lock construction that is recommended for industrial air movement and fume control applications. The unique flex duct hose may be shaped and spliced together without the need of special tools and is a great option for both temporary and permanent installations alike. 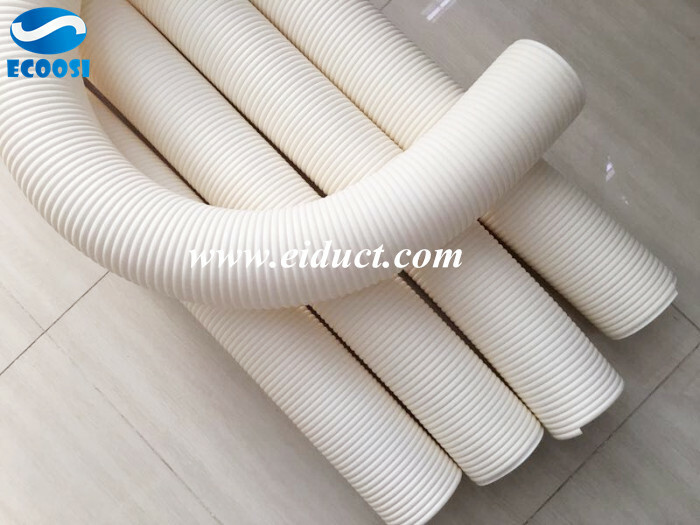 The interlock air duct hose also provide the ability to adjust the inside diameter by hand; the ID can be reduced or expanded by approximately 25% of the product’s original ID. Its makes for a semi-rigid hose that is valued in applications that require constant flex of a hose (such as welding applications). 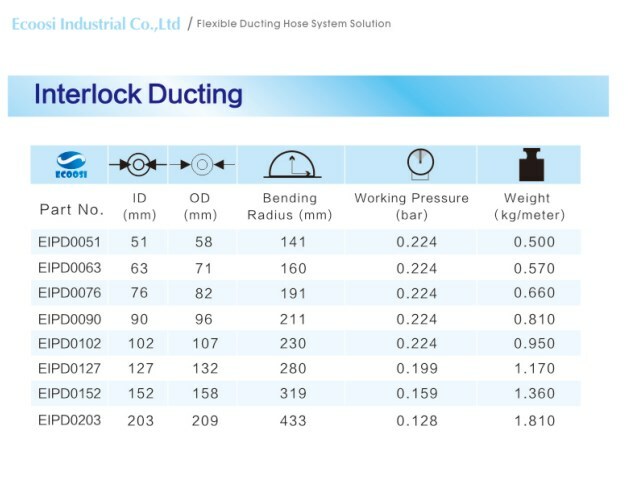 The Interlocking is premier in the class of fume removal flex duct. 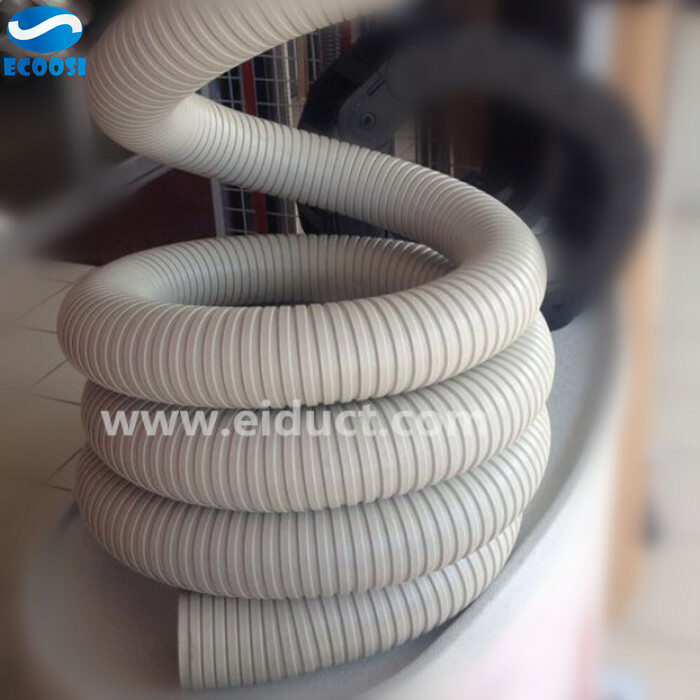 Ecoosi's Interlock Ducting Hose has a working temperature of -20 to +80 degrees Celsius. Its will provide the user with good hose flexibility as it can move air above ambient temperatures as well as change diameter size when needed. 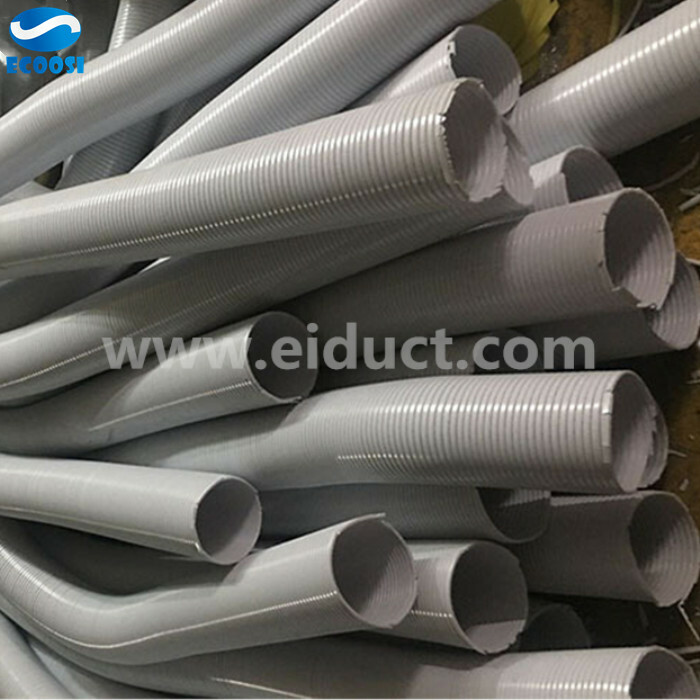 The semi-rigid duct hose is great for applications such as clean rooms, exhaust systems and general fume control. Unlike other semi-rigid flex pipes, this hose is not made from aluminum or stainless steel. 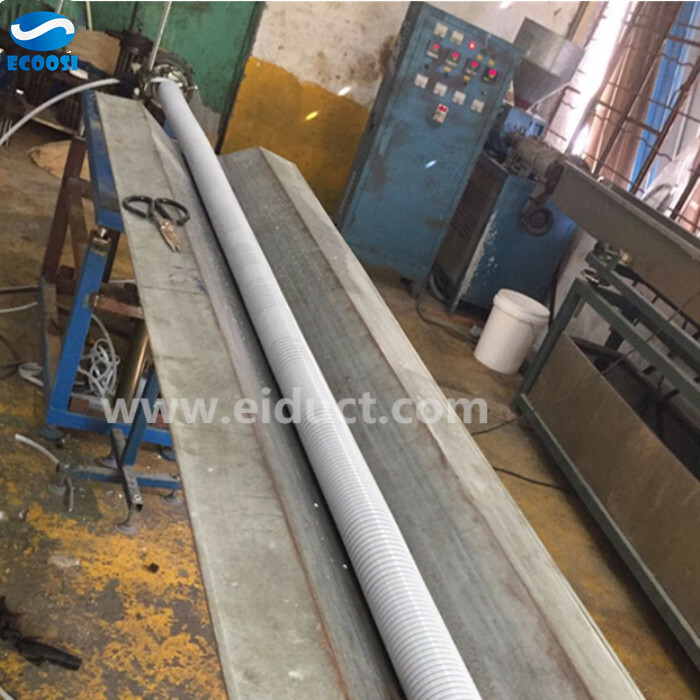 While metallic hoses exhibit short life when continually flexed, Ecoosi's Interlock Ducting Hose is extremely durable and exhibits great flexibility.